Iseehear Inc. supports encryption of customer data over Internet and in storage in the database. Subscriber / User data is stored with 256-bit encryption at rest and 128-bit SSL encryption while in transit over the Internet (Read more about SSL Encryption below). Website Malware scans are performed daily (Please read more about website Malware Detection). Data transactions (email contact form, registration form, login, data entry) executed through this website are encrypted using 128 bit Secure Socket Layer (SSL). Secure Socket Layer (SSL) is the standard security technology for establishing a secure encrypted connection between a web server and a web browser (such as Chrome, Firefox, Safari). This page you are viewing was encrypted before being transmitted over the Internet. Encryption makes it difficult for unauthorized persons to view information traveling between a web server and a web browser. 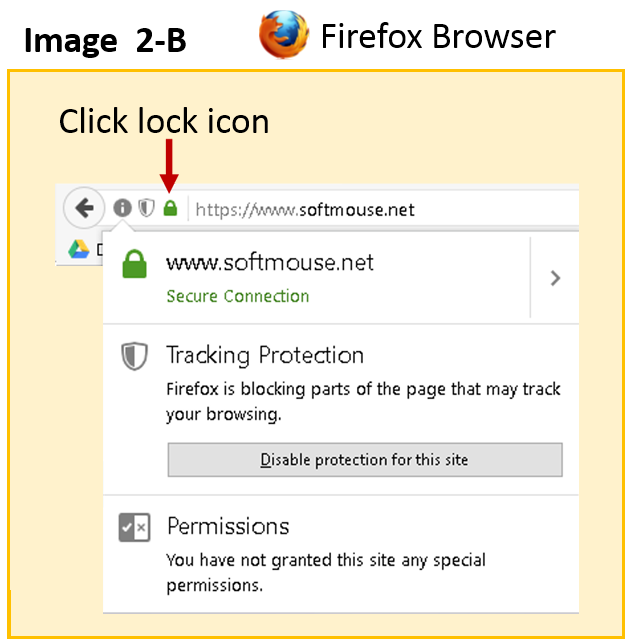 The SoftMouse.NET website uses Secure Socket Layer (SSL) encryption which has been verified by Cloudflare as well as GeoTrust Inc. (GeoTrust Inc. is a subsidiary of Symantec Corporation). Data transactions (email contact form, registration form, login, data entry) executed through this website are encrypted using 128 bit Secure Socket Layer (SSL). To identify if a website is using SSL look for the lock icon and https in the address bar (see Image 1-A and Image 1-B). The address bar for this website should read: "https://SoftMouse.NET" or "https://www.SoftMouse.NET" (see Image 1-A and Image 1-B). Important: If the "home page" address of this website is not written exactly as either "https://SoftMouse.NET" or "https://www.SoftMouse.NET" then do not enter any data and please notify Iseehear Inc. immediately.